Yesterday I blogged on The Diary of a Jewellery Lover. Actually it was a re-write of my old post about aloe. This post won me the first prize in a beauty blogging competition so I decided to share it on a bigger scale. Have a look at it and tell me what you think. Have you ever used aloe in its pure form? 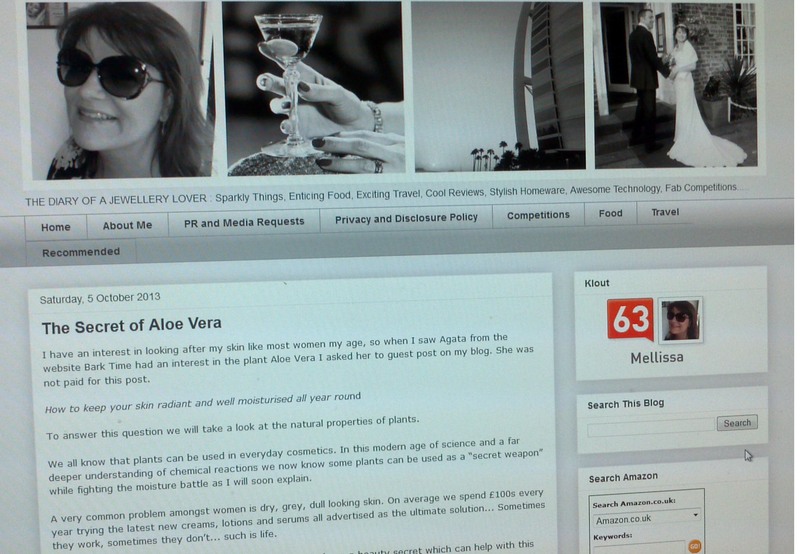 Thank you for sharing with my readers the secret of the Aloe plant! I like it! Aloe Vera is a wonderful plant. As I was a little girl we used a piece of the plant when someone burnt the fingers on the oven, for sunburn and many other things. Congrats on your first guest post! I did grow up with a huge aloe plant in our house that we would use when needed. Great stuff.